1. This is not the right place to report abuse. to do so submit a ticket with sufficient evidence so WG can take actions. 2. Exposing someone here is considered "naming and shaming", you may receive warning from mods. On top of that, this is just a game. if someone unknown you met in online video game says few bad words it doesn't hold any significance, does it? better ignore them. that's the best way to deal with them. 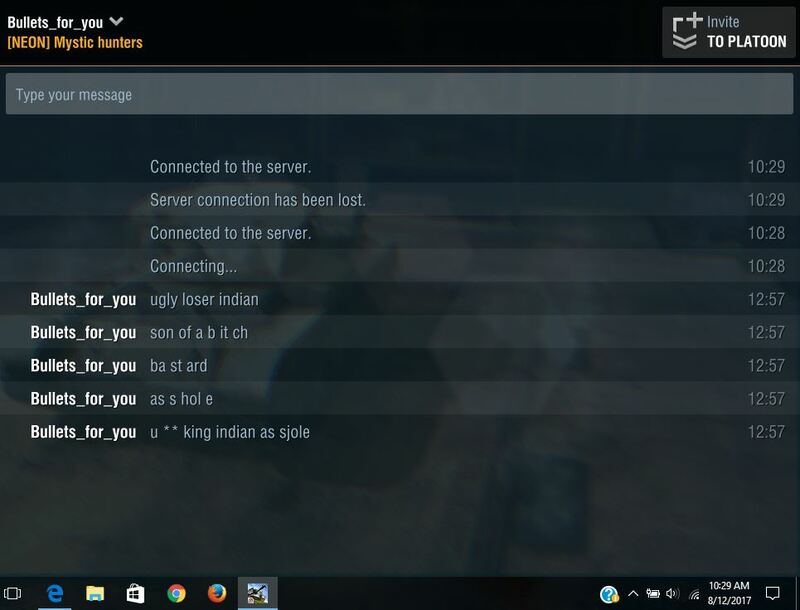 WoT Blitz Asia Language Based Communities → English Speaking Community → Game Discussion → WG stop being racist! :-P Aussies, Frenchies & Swedes unite!